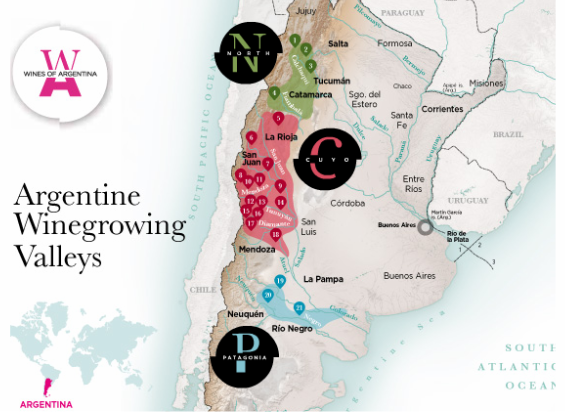 Now the fifth largest producer of wine in the world, Argentinian wine has improved significantly in quality and variety over the last 20 years. With three major wine production areas, the central Cuyo region has the best known varieties, especially the full-bodied flavours associated with Argentina's prince of wine, the fruity and elegant Malbec. but the perfect moment would be in early March when Mendoza, the "capital of Argentine wine", holds its annual Wine Festival, the "Vendimia". 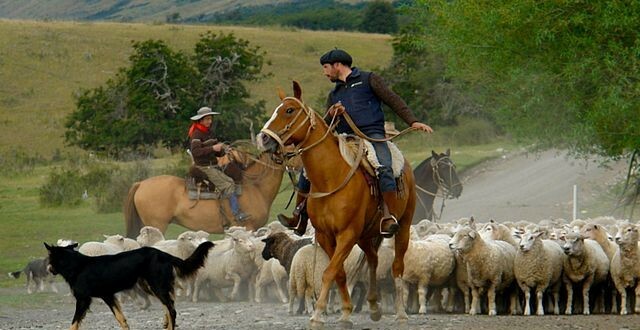 Combine a visit to the Mendoza vineyards with a few days relaxation on an estancia on the pampas afterwards, learning a few of the tricks of the Gauchos and enjoying some of the best scenery, wine, and steaks in the world! 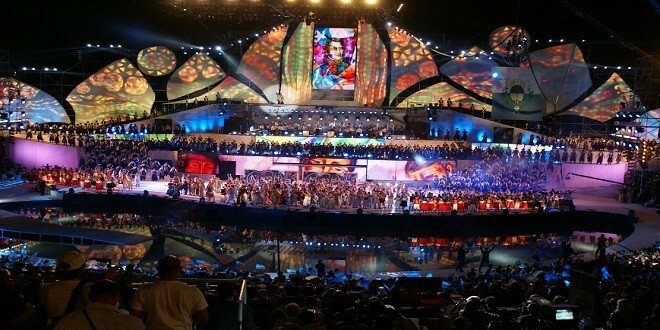 The annual Mendoza Vendimia Wine Festival is one of the most popular celebrations in Argentina. It is an event that includes a build up during the first week of March, with tastings and other culinary delights. This culminates in the participation of hundreds of dancers and actors on a stage of giant proportion in a spectacle of laser lights, great special effects and fireworks in abundance. (La Reina de la Vendimia). Set in pristine vineyards, this superb estate is nestled in a private valley 30 minutes from Mendoza city. There are 18 exclusive suites at Cavas Wine Lodge, each one secluded and extremely comfortable. They all have a private plunge pool and sun deck, plus a rooftop patio offering 360 degree views of the vineyards and Andes. The ideal spot for watching sunsets and stargazing! 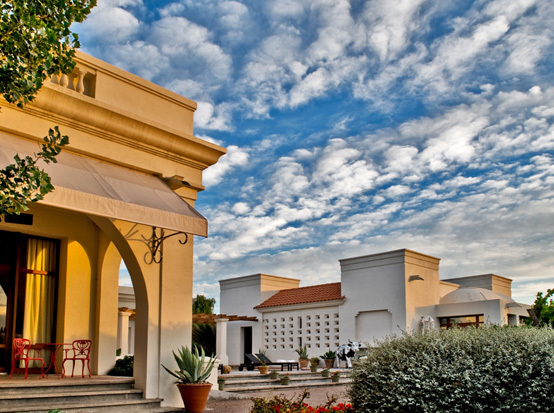 Offering a range of activities from wine therapy in the spa, to wine tours, golf, hiking, rafting or riding, the Cavas Experience offers the "Best of Mendoza" at affordable prices. 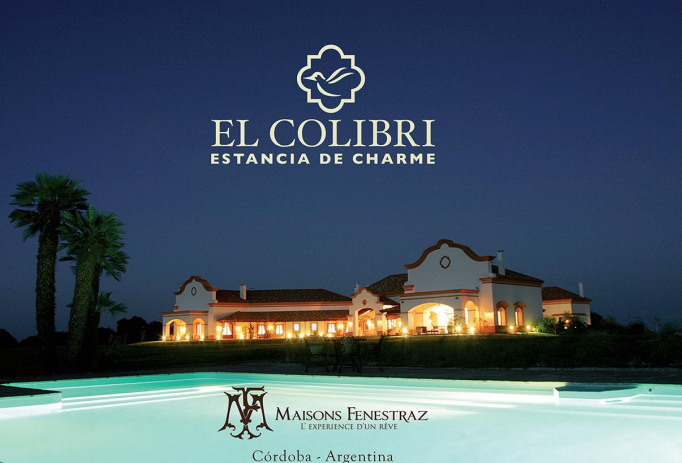 El Colibri, Estancia de Charme, from the family group Maisons Fenestraz, is located 45 minutes from Córdoba Airport in the Argentine pampas. This is a working ranch that produces their own prize steak, tasty fruit, and fresh vegetables and flowers. The house contains 9 beautiful suites and can be hired in entirety. It has its own Polo Club with lovely fields, a clubhouse, and its own team. 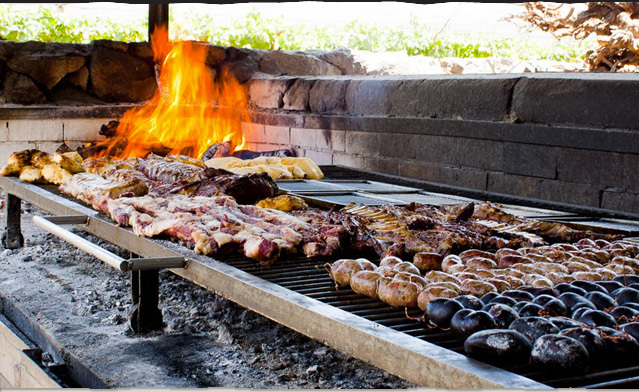 Included in the tariff are all meals, a special wine-tasting with local hams and cheeses*, the Gala asado/BBQ*, and access to the fully equipped Spa. Also riding and mountain biking, trekking, bird-spotting, and the chance to see how the Gauchos work the farm. 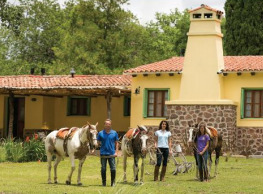 For an additional fee guests can also have a polo lesson, enjoy massages and more in the Spa, take a riding lesson, hunt pigeons, enjoy Yoga, take a cooking or conduct other local tours. Their chef prepares cuisine based on use of the best fresh and seasonal products, and their wine cellar has an extensive selection of the finest Argentinean wines, including Mendoza's Malbec. El Colibri has been named one of 101 Best Hotels in the world by London’s renowned TATLER magazine. 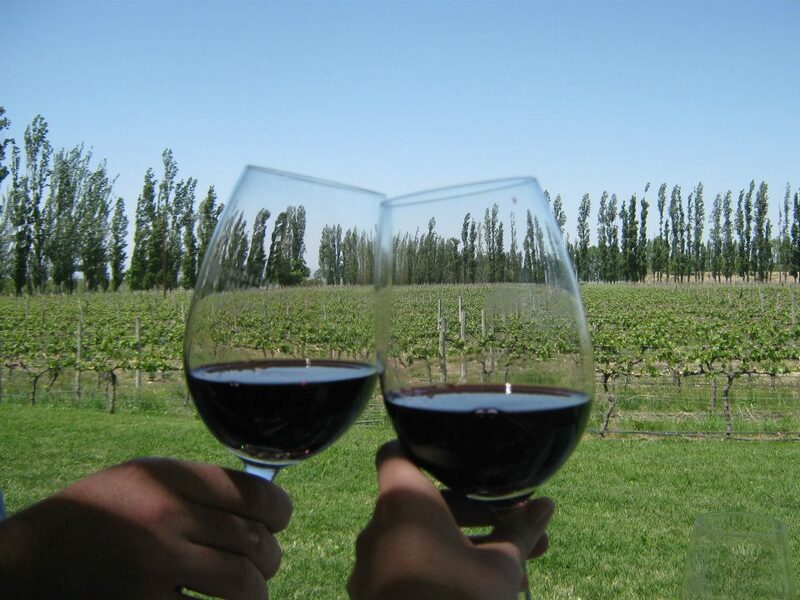 A "Cata", or wine tasting experience covering more than one "sense", is an especial part of a visit to Mendoza and the associated wine regions. ​It is ideally combined with food pairing to link the flavours of each wine to specific dishes.